Australia 295 and 0-65 (David Warner 45*, Chris Rogers 15*) leads England 136 (Michael Carberry 40, Stuart Broad 32, Mitchell Johnson 4-61, Ryan Harris 3-28) by 224 runs with 10 wickets in hand. The Aussies thrashed 295 runs in their first innings followed by 65 without loss in the second and the tourists were dismissed for 136 mere runs in their first innings. The second day of the first Ashes came to an end on Friday, November 22, 2013, at Brisbane Cricket Ground, Woolloongabba, Brisbane. Earlier, the Aussies started their first innings at 8-273 after 90 overs whereas Brad Haddin and Ryan Harris were in the center at 78 and 4. The latter was gone at 282 for nine runs and Haddin was unluckily run out for 94 as the home side smashed 295 in 97.1 overs. 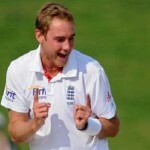 Stuart Broad was the chief wicket takers with six, James Anderson held two and Chris Tremlett got one wicket. 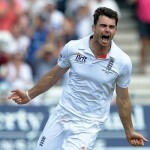 England lost their skipper, Alastair Cook, at 28 for 13 as Jonathan Trott joined in with Michael Carberry. 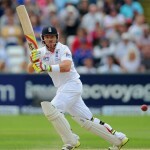 The score was taken to 55 when the first was caught behind by Haddin off Mitchell Johnson for 10. Carberry became the fourth victim for 40 as the fast bowlers of the Kangaroos took over and the English wickets kept on falling like ninepins. The middle and lower order batting of the visitors crumbled against the quality bowling of the hosts. Stuart Broad was the only batsman who provided some resistance by scoring 32 as the entire innings of England was folded back for 136 in 52.4 overs. 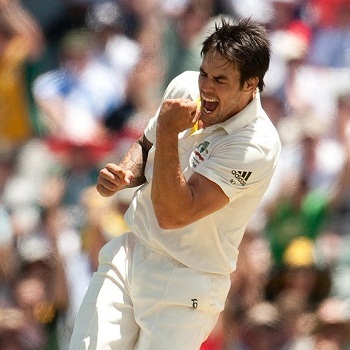 Mitchell Johnson was the top wicket taker with four, Ryan Haris chipped in with three, Nathan Lyon took two whereas Peter Siddle added one wicket to his credit. Australia took a sizable first innings lead of 159 runs and David Warner along with Chris Rogers initiated the second with confidence. Both of them played sensible cricket and did not take any undue risk until the end of the day. Warner was the most fluent of the two and scored 45 whereas Rogers got 15 as the Aussies reached 65 in 22 overs without losing any wicket. Australia has taken an overall lead of 224 runs and will pile up a heavy target for England who is under tremendous pressure at the moment.